A community-based website is a website that prioritizes interaction between users and the website itself, or users with other users that are members on the site. In essence, this type of site is built with user loyalty. If you are a blogger or web developer, community-based websites could be a type of website that generates profit and convenience for website owner, because as the site owner, You doesn’t have to bother to make the content of the website, Your website user will make it for you, and you just be a website administrator only. If you usually use WordPress as your blog engine, then you can use some of the best community WordPress themes to create a powerful community-based websites. 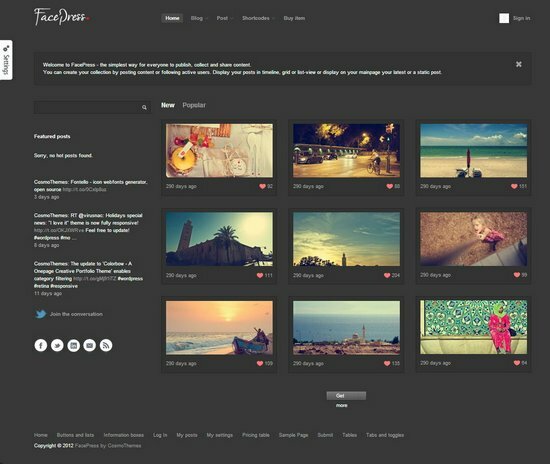 FacePress represents a community-builder theme with great features, such as: Content-sharing with front-end uploading, Community builder, Create unlimited custom posts, Follow/unfollow users, Portfolios, Image gallery, Classic blog, Combination of all content types. 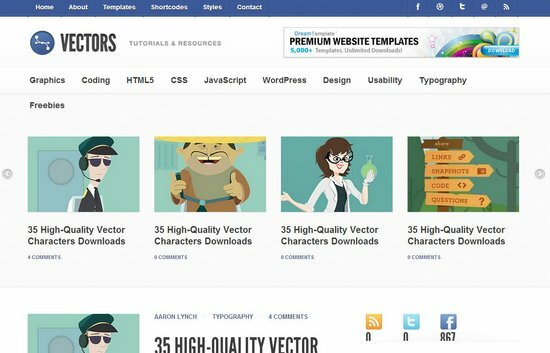 If you want to start your own community based website, tutorial site, a round up, best-of-the-best and inspiration website, Vectors is premium WordPress themes that can do it all. Fully equipped and stacked with robust features and functionality Vectors would make any blog/site shine. 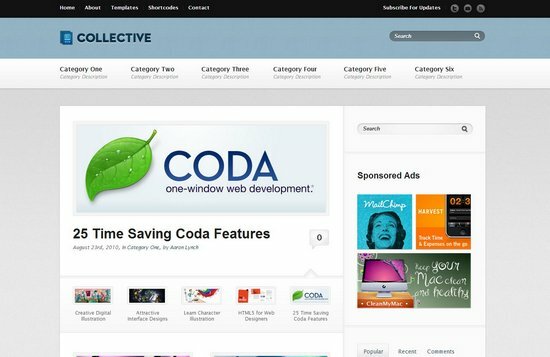 Collective is powerful community WordPress theme that designed for use as a magazine or community website. This theme comes with many features, such as: Content Column Shortcodes, PSD Files Includes, Localization Support, 10 Color Schemes, Custom Widgets, Sponsored Ads, Page Templates, Extensive Theme Options, Color Style Options, Page Templates, Post Thumbnail and much more. 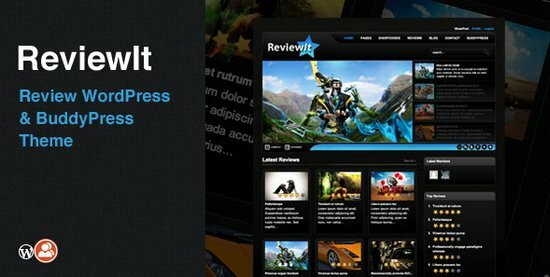 ReviewIt is a WordPress and BuddyPress theme that provides you with powerful review and community features, such as: Advanced review options, Sort reviews by date, title, rating, Add custom review tags for easy categorizing of reviews, Extensive admin panel, 2 theme skins (Dark and Light), Front-end login, register and profile pages, Lots of custom shortcodes, 7 custom widgets, Image resizing, Unlimited Sidebars, Full theme PSD included and Well Documented. 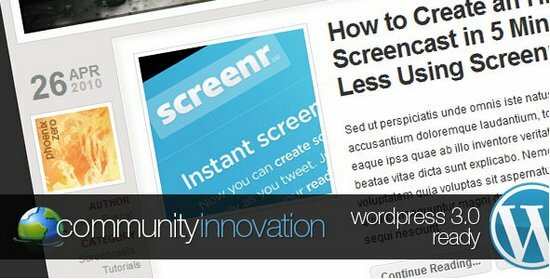 Community Innovation is a clean community WordPress theme designed to focus on content. With 2 custom widgets, an extensive theme options page with dozens of features and options, this theme is best choice for your community site.